Here at Festival Mozaic, we are committed to providing the best in musical performance and also to providing opportunities for emerging musical talents. But we are also committed to providing opportunities for young arts administrators through our internship program. 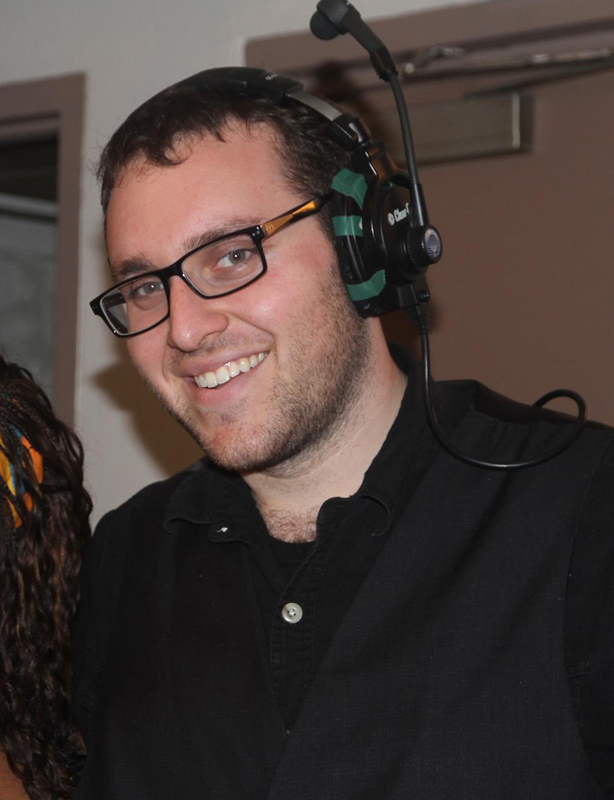 This summer we have hired Jordan Cohen as Assistant to the Director. Here’s a conversation between him and Festival Executive Director Bettina Swigger. Bettina: So how did you hear about Festival Mozaic? Jordan: Three years ago, I was home from college on summer break when I happened to meet you in a social setting. I was about to become a senior at UC Davis, studying classical theory and composition and we started talking about music. Then you invited me to come see a concert that featured a new work, a Dvorak string quartet, and then the Festival’s orchestral finale. After growing up in Los Osos (a suburb of San Luis Obispo), I had eagerly devoured performances and experience with professional ensembles ranging from operatic to symphonic to chamber. So I dragged my father to my first concert with the Festival, a premiere, which was something he had never been exposed. He, of course, found it too new, too interesting, and definitely too much fun! It was shocking to me that something of the theory-driven contemporary music of academics and black box theaters, something I was studying insulated by mandatory theory/composition student audiences, was drawing an audience in San Luis Obispo! Bettina: I remember that. That was the premiere of John Novacek’s Cello Sonata, which he and Michelle Djokic performed. Jordan: So last summer, when was home between gigs, I found myself drawn once more to the Festival. I attended six or seven events, and was once again impressed by the continuity in originality and talent I found, especially coming from working in San Francisco to listening in SLO. Not only did I find a cultural community I never before knew existed in San Luis Obispo, but I found myself captivated with the inherent talent level drawn here by Scott Yoo and the Festival. I knew this was something that I wanted to be a part of professionally. Bettina: So then what happened? Jordan: I was working in the Production Department at the San Diego Opera and six months ago, I emailed you, saying that I would love to volunteer for the Festival – to take a working vacation to visit my family and see as many of the ensembles as I could manage. Instead, you invited me to apply for the Assistant to the Director internship. And the rest is history. The opportunity to meet musicians of this level, and to work for someone like Scott Yoo is a huge opportunity. My local roots are somewhat serendipitous, and I hope to use my knowledge of the community to foster a hospitable environment within the festival community. I am very excited to be able to contribute to this years festival, and help bring the best classical music, best musicians, and best festival yet to the Central Coast. Bettina: What performance are you most excited about in this upcoming season? I am definitely most excited about the concert on Chapel Hill in Shandon. In my opinion, a concert isn’t necessarily 100% about the piece being played. In contemporary music, it is much more common that people come to see the performers, not the piece. Having worked in Opera, this is a phenomenon with which I became very familiar. People didn’t come to see Giuseppe Verdi’s Aida, they come to see the performers interpret the piece. I think this can be extrapolated to a setting too. The Chapel Hill concert put me, and my imagination, in an Italian villa listening to music in 17th century Italian vineyards. I’m looking forward to experience that music, in that setting. It’s a unique opportunity. Bettina: So what do you think could draw more young people into wanting to experience live classical music performance? Jordan: I think the way to draw young people into experiencing classical music is being exposed to it from as early an age as possible. People respect pure talent in any discipline, which is why a juggler can get ten million views on YouTube. The key is to expose people to the sheer talent in this medium much earlier. The other problem lies in cost-benefit analysis. We are now at a point where my generation’s parents didn’t listen to classical music as much, so being “retro” is more about going to Steely Dan and Tom Petty concerts at the fair. Spending $200 on Red Hot Chili Peppers tickets is something you can brag about –something that earns a certain social cachet — but to the average high school/early college- aged person, going to see Schubert isn’t something you brag about (outside of conservatory circles), especially at $45-$60 a pop. For a high school kid, buying a ticket at that price to see a classical music concert translates to six hours of work at minimum wage. I think a certain amount of 100% free tickets to the more popular events for people who have not yet graduated college, or are under graduation age, would be well in order. More needs to be done to getting kids hooked on classical music for the long term. Bettina: What are your top five favorite desert island pieces of chamber music? Bettina: That’s fortunate, because that piece is going to be performed at this summer’s festival in a concert on July 22. Jordan: That’s right. Here’s the final four. Jordan has a Bachelor’s degree from UC Davis. He was a Double Major in Music Theory/ Composition and Medieval Studies. He has worked at the San Diego Opera, the Mondavi Center for the Performing Arts and many other companies. He is also a very friendly guy, so please tell him hello when you see him at the Festival this summer. Greetings from Festival Mozaic headquarters! We’ve been very busy behind the scenes. We had a fantastic WinterMezzo weekend in early March (with record ticket sales!) and we announced our 2013 summer season to our supporters. Scott Yoo has put together an incredible array of musical events this July – from grand orchestra in the world-class Christopher Cohan Performing Arts Center to intimate chamber music concerts in venues that showcase the Central Coast to the comic stylings of Italy-based Duo Baldo. Click here to flip through the season brochure. 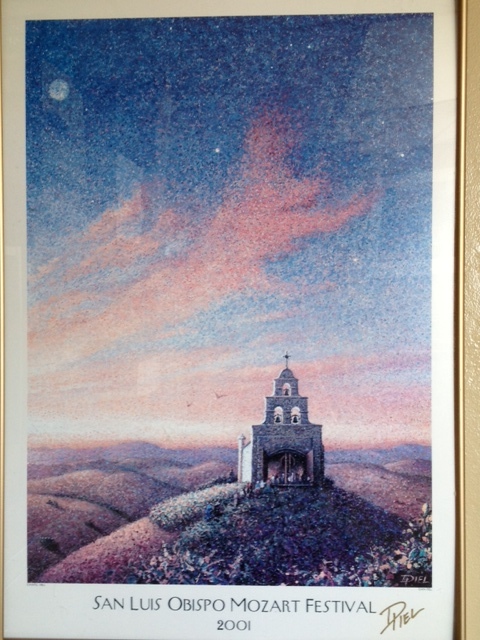 Congratulations to San Luis Obispo artist Drew Davis, who is this year’s winner of our resurrected poster art contest. His original work of art, “Trio” was created specifically for Festival Mozaic and will be featured on posters and other publicity materials this summer. Learn more about Drew by clicking here. Subscription tickets go on sale April 1. Enjoy – and we’ll see you this summer. Let’s be honest: it isn’t hard to spend three perfect days in pastoral San Luis Obispo. Named North America’s “happiest city,” this Central Coast California college town is a pleasing mix of farm-to-fork bistros, galleries, and boutique shopping, not to mention wine tasting. It is into this comfortable, captivating ambiance that international performer and conductor Scott Yoo and the musicians of FESTIVAL MOZAIC will bring their international-caliber artistry for three days in March for our “WinterMezzo” weekend. The music alone is worth the trip, but to make the most of this spectacular weekend, we’ve curated an itinerary of experiences in San Luis Obispo that are sure to engage you, body and soul. Conveniently located just three hours from the Bay Area and just three hours from downtown Los Angeles, this small town offers a truly sophisticated yet laid-back feel, and is absolutely worth the scenic drive to get here. Check into the cozy Apple Farm Inn and grab a cup of their house-milled hot cider before heading over to the ornate Masonic Lodge for the first event of the weekend, a “Notable Encounter Insight” at 6 o’clock. Sit back with a complimentary glass of wine from one of the Festival’s favorite wineries and enjoy a discussion with Music Director Scott Yoo and the author of the national bestseller, Beethoven’s Hair, Russell Martin, paired with musical examples from Festival musicians. Afterward, meander through San Luis Obispo’s charming downtown toward Luna Red Restaurant, where you’ll enjoy a dinner of exotic-inspired small plates and specialties crafted from fresh, local, sustainably-grown ingredients. Follow it all up with a tour of the city’s art spaces during the monthly Art After Dark program, wherein galleries, studios and local businesses keep their doors open until 9 PM. Wake up with a brisk walk on any one of San Luis Obispo’s famed hiking trails like Felsman Loop or Cerro San Luis, followed by fresh coffee and beignets at local favorite eatery, Big Sky Café. Head back to the Apple Farm Inn for showers or a luxurious soak in the hot tub before making your way downtown for shopping. Pick up your new favorite pair of Italian boots at Romp! or handcrafted home goods at Habitat – or simply enjoy a walk along the creek, capped off with a visit to the city’s pulsating historical heart, Mission San Luis Obispo de Tolosa. 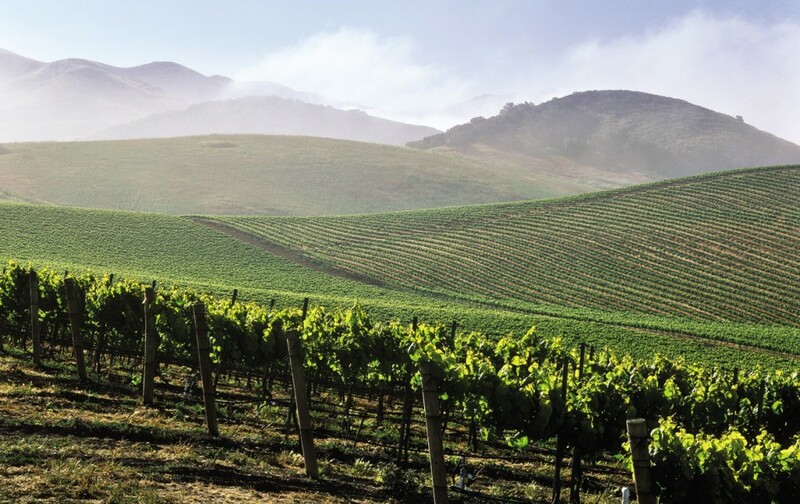 Spend the afternoon wine tasting and enjoying SLO’s pastoral Edna Valley, where some of Festival Mozaic’s favorite wineries like Kynsi and Clairborne & Churchill pour award-winning wines you’ll want to bring home with you. To complete this very full day, enjoy a Notable Encounter Dinner at the home of Festival patrons Sharon and Dennis Schneider in Varian Ranch. Join fellow music-lovers, Scott Yoo, and Festival musicians as they explore the mystery, intrigue and power of Beethoven’s music alongside a sumptuous dinner paired with wine. At 3 PM, make your way to the Wintermezzo final event, a full concert featuring three dazzling Beethoven works performed by Scott Yoo and Festival Mozaic musicians at the United Methodist Church. After the concert, pack your bags and return home refreshed, fulfilled and inspired by a weekend of small-town hospitality and fantastic music! Festival Mozaic has been a vital part of the local, statewide and national performing arts community for more than four decades. Over the years, our programs, artists and offerings have changed, but several things have remained the same: our passion for great music, our love of the San Luis Obispo community and our connections to our steadfast fans. Earlier this week I was at Cafe Roma, celebrating California Restaurant Month. Cafe Roma is one of the oldest (and finest) restaurants in San Luis Obispo. 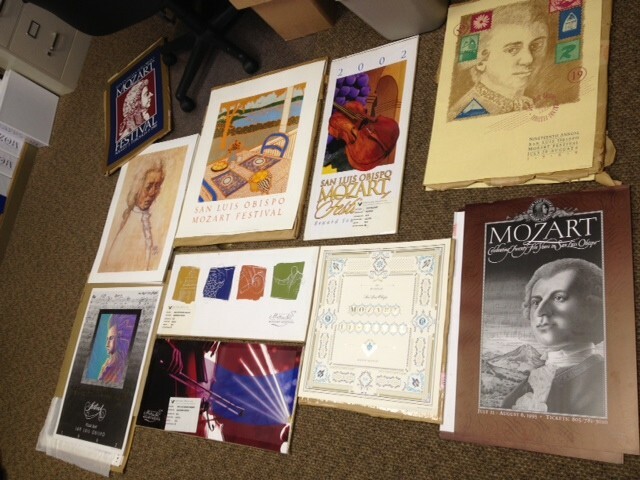 And like many local businesses, their walls are lined with posters from the old days of the Mozart Festival. It’s something I’ve noticed ever since I arrived here two years ago; whether it’s a bank, an insurance agent, a restaurant or a law office, if it’s a community-minded business, there’s a Festival poster. Some people have complete collections in their homes. And our office walls are lined with them. For many decades, local artists competed for the honor of being a part of the festival, and this year the Festival Mozaic board decided to relaunch this old tradition. The deadline for submissions for artwork is January 31, 2013. Proposals are requested from artists and/or artist teams interested in creating an appealing, attractive original work to be included on a promotional poster and marketing materials to showcase the riches of Festival Mozaic, a classical music festival on the California Central Coast. The selected work of art will be printed on a promotional poster and will be featured on the Festival program book and other marketing materials. Click here for the complete request for proposals. I’m excited to see what our creative artists will come up with next! Forgive the radio silence here at the Festival blog. We’ve been busy planning for next summer’s Festival and doing all the behind-the-scenes things that don’t qualify as good blog fodder. So here’s a favorite cartoon from the New Yorker. Happy Holidays from all of us here at Festival Mozaic. A lot of the joy that comes from working for any music non-profit is getting to be surrounded by incredible music. It’s probably impossible to be surrounded by more music and other performing arts than by working in the Lincoln Center complex. Immersed in the energy of NYC and all of this music I can honestly say I am thrilled every single day. But I never would have ended up here without my experience at Festival Mozaic. As Assistant to the Music Director (Scott Yoo) I gained vital experience working in a classical music library, providing administrative support in a concert, rehearsal and office setting, working as a production assistant, and innumerable other miscellaneous roles. The festival is such a packed two weeks, with multiple events happening simultaneous across a county every day, I have become a pro at working in a hectic environment where I am responsible for supporting the needs of many people. 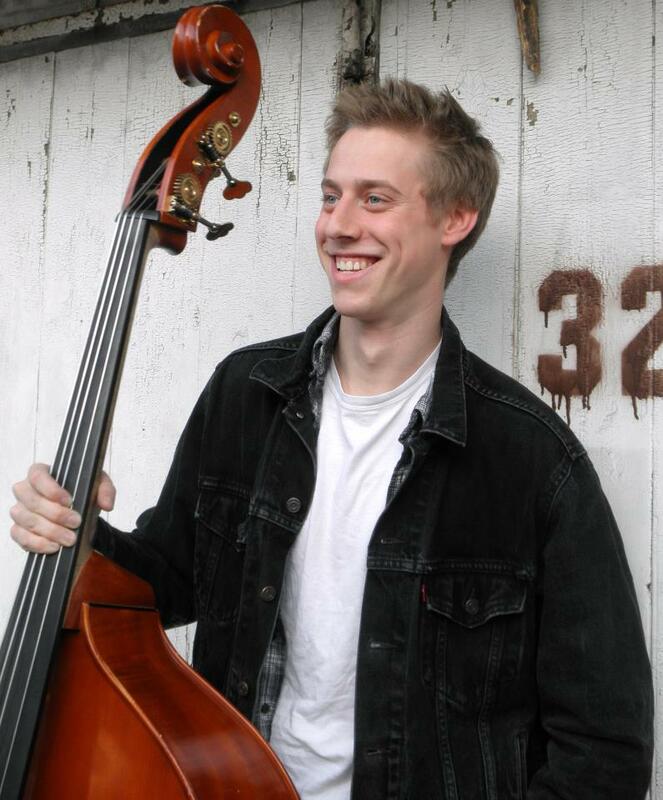 Robert Whipple is an upright bassist from Princeton, New Jersey. Having recently earned a bachelor’s degree in biology and music, he is currently pursuing a career as a performing artist and an arts administration professional. Steeped in a diverse musical background, he has studied and performed with a highly varied range of artists including string bass soloist François Rabbath and master jazz drummer and conguero Babatunde Lea. He served as Assistant to the Directors for Festival Mozaic in the Summer Music Festival, July 2012. Things have been a bit quiet here on the Festival blog, but we’ve been busy behind the scenes planning for the next Festival adventure, which is just around the corner. 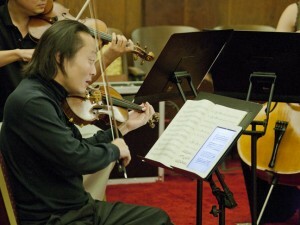 Tickets just went on sale for our 2012-2013 WinterMezzo chamber music series, and we’re excited that Scott Yoo, music director and violin, and John Novacek, piano will be performing a progressive program dedicated to exploring the intricacies of rhythm this November 2-4, 2012. We’ll be exploring the pieces and content of these upcoming performances here on the festival blog in the coming months. Here’s the first in that series. After years of studiously avoiding the chamber music format I have suddenly begun to compose for the medium in real earnest. 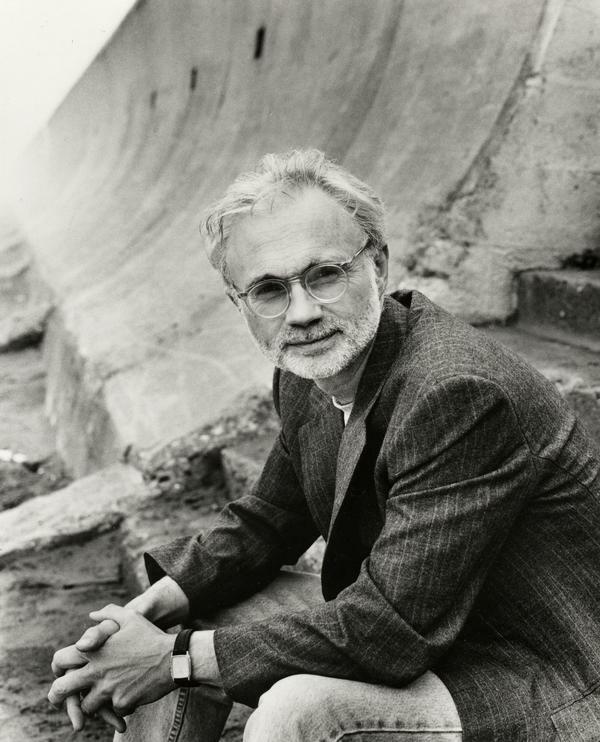 The 1992 Chamber Symphony was followed by the string quartet, John’s Book of Alleged Dances, written for Kronos in 1994, and now comes Road Movies. For years the chamber music scenario remained a not particularly fertile bed in which to grow my musical ideas. My music of the ’70’s and 80’s was principally about massed sonorities and the physical and emotional potency of big walls of triadic harmony. These musical gestures were not really germane to chamber music with its democratic parceling of roles, its transparency and timbral delicacy. Moreover, the challenge of writing melodically, something that chamber music demands above and beyond all else, was yet to be solved. Fortunately, a breakthrough in melodic writing came about during the writing of The Death of Klinghoffer, an opera whose subject and mood required a whole new appraisal of my musical language. The title “Road Movies” is total whimsy, probably suggested by the “groove” in the piano part, all of which is required to be played in a “swing” mode (second and fourth of every group of four notes are played slightly late). Movement I is a relaxed drive down a not unfamiliar road. Material is recirculated in a sequence of recalls that suggest a rondo form. Movement II is a simple meditation of several small motives. A solitary figure in a empty desert landscape. Movement III is for four wheel drives only, a big perpetual motion machine called “40% Swing”. On modern MIDI sequencers the desired amount of swing can be adjusted with almost ridiculous accuracy. 40% provides a giddy, bouncy ride, somewhere between an Ives ragtime and a long rideout by the Goodman Orchestra, circa 1939. It is very difficult for violin and piano to maintain over the seven-minute stretch, especially in the tricky cross-hand style of the piano part. Relax, and leave the driving to us. To listen to a clip of Road Movies, click here. We hope to see you in November to hear this and works by Beethoven and Padre Antonio Soler the best way – in a live performance! 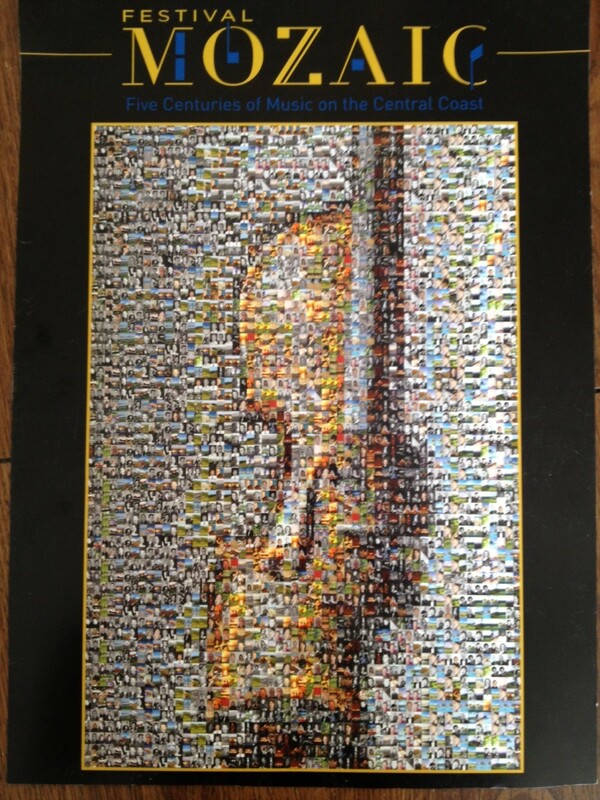 festivalmozaic · Five centuries of music on the Central Coast.